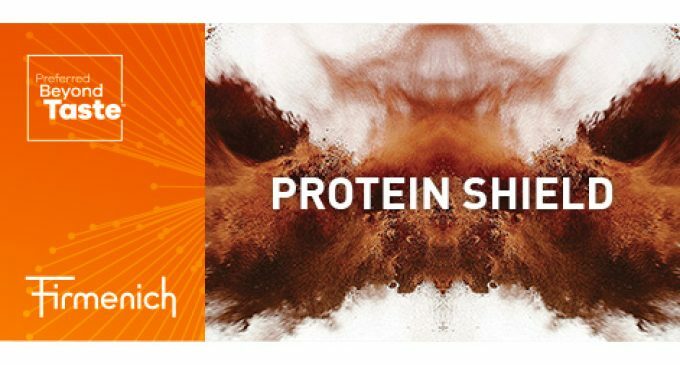 Firmenich, the world’s largest privately-owned company in the flavour and fragrance industry, has officially launched its Protein Shield Flavors, a new line of natural flavour solutions aimed to help developers address the challenges they face when creating beverage products with high protein content. High-protein beverages provide essential nutrients and have become one of the fastest growing drink categories, with global launches increasing 35% from 2012 to 20161. However, the bitter and astringent taste of protein is rarely appealing to consumers. Even though formulas have improved, it remains a challenge to completely restore the flavour profile to where consumers expect it to be, which is where Protein Shield Flavors can make a difference. Firmenich’s Protein Shield Flavors combine key tonalities with the company’s TasteGEM® technology, masking the impact protein can have on taste buds. They have been specifically developed to address the intrinsic bitterness, astringency and dry mouthfeel of a number of proteins, while also enhancing the overall flavour profile.  Health & Nutrition Support: Protein Shield Flavors help to mask not only proteins, but also other functional ingredients used in Sports & Nutrition products. The Protein Shield portfolio is one of many offerings the company has to help improve the nutritional profile of food and beverages. Protein Shield Flavors were also the recipient of the ‘Most Novel Food Ingredient’ at the 7th Annual Sports & Active Nutrition Summit, held in the Netherlands in the summer of 2017. The summit brings together major players from the food and beverage industry to focus on the future of the sports and active nutrition market.